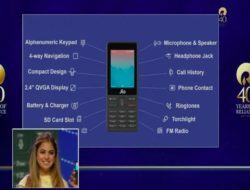 At the Reliance AGM, Mukesh Ambani announced an “India ka Smartphone” called “JioPhone“. The price of the phone is Rs 0. Yes, you heard it right. You can buy the phone for free. But there is a twist; you need to pay a refundable security fee of Rs 1500. So In this article, I am sharing how you can buy a free Jio phone successfully online. Scroll down to find out its registration or online booking process. 1.2 How to Buy Rs 0 Jio Mobile Online on Flash Sale? The best thing is with this Jio Rs 0 Phone; you can enjoy unlimited 4G data (500MB per day), voice calling and free SMS for 28 days at just Rs 153. You can check Jio’s all new plan from here. The phone comes with 2.4-inch QVGA display. It features an Alphanumeric keypad, Torchlight, headphone jack, microphone, speaker, FM Radio, etc. The device supports all languages. You can also access Jio’s premium apps like Jio TV, Cinema app for free. Click on the banner, you will be redirected to a new page. Congrats; you have successfully registered for the flash sale. Jio free phones will be available for sale on first come first serve basis, means there will be a flash sale. So you need to be super active to buy the rupees zero phone. Offline Booking Method: Just visit your nearest Jio Digital Storesand pre order the phone. How to Buy Rs 0 Jio Mobile Online on Flash Sale? You will see “Buy Now” button, click on it as soon as possible as the limited stocks will be available. Pay Rs 1500 as security fees. Wait for 5-7 days to get it delivered to your home. Hello I am a new customer to Jio. I am interested to join Jio family. For online registration does my existing phone number from other vendor eligible.